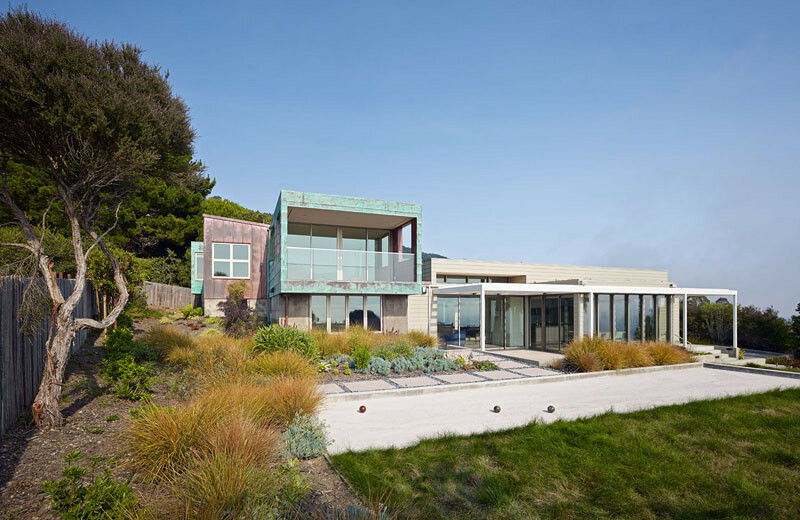 A beautiful home with copper and zinc exterior in San Francisco. Location is an important factor for a home because aside from adding to the area’s appeal, it can also add to the entire home’s coziness once a house has a beautiful location and view. When we talk about location, it may vary from a seaside to a hill. But wherever the house is, what matters most is how comfortable the family is inside their house. Hence, it is important to have a well-designed home in a beautiful location. 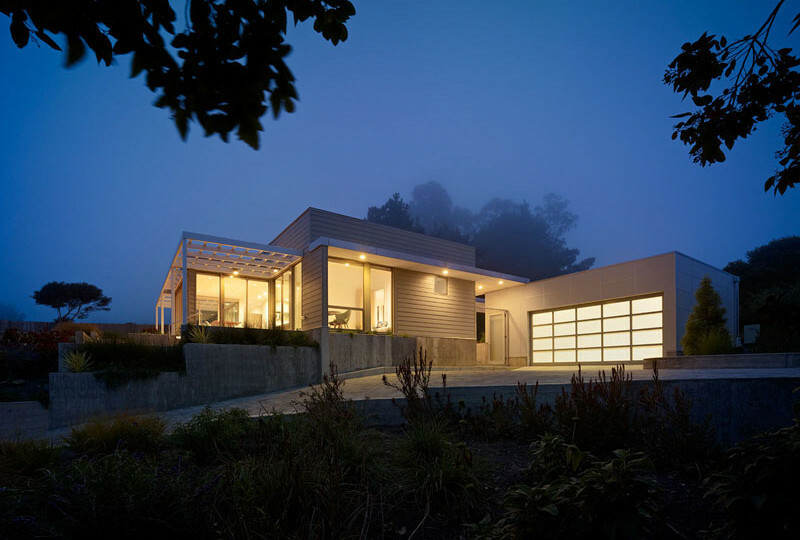 Today, we are going to feature a house that is located on the coastal hills north of San Francisco. 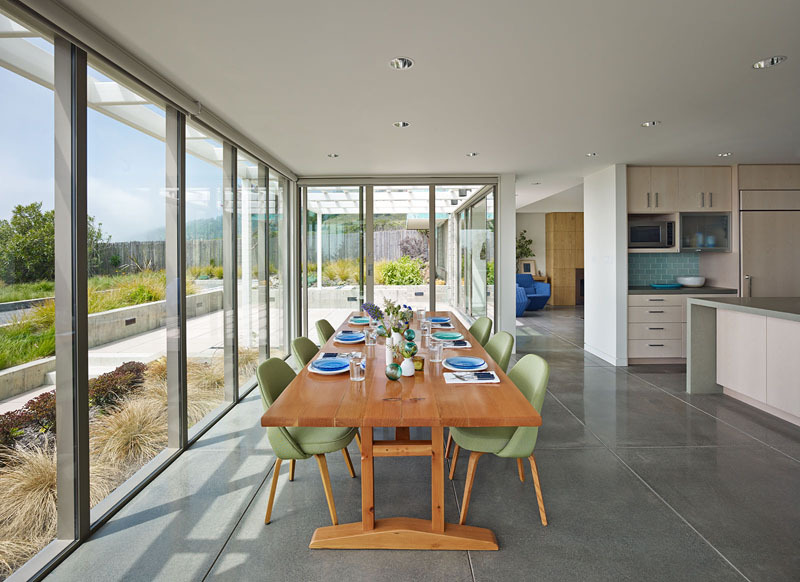 It is designed by WNUK SPURLOCK Architecture in an elevated coastal giving the home a beautiful view. 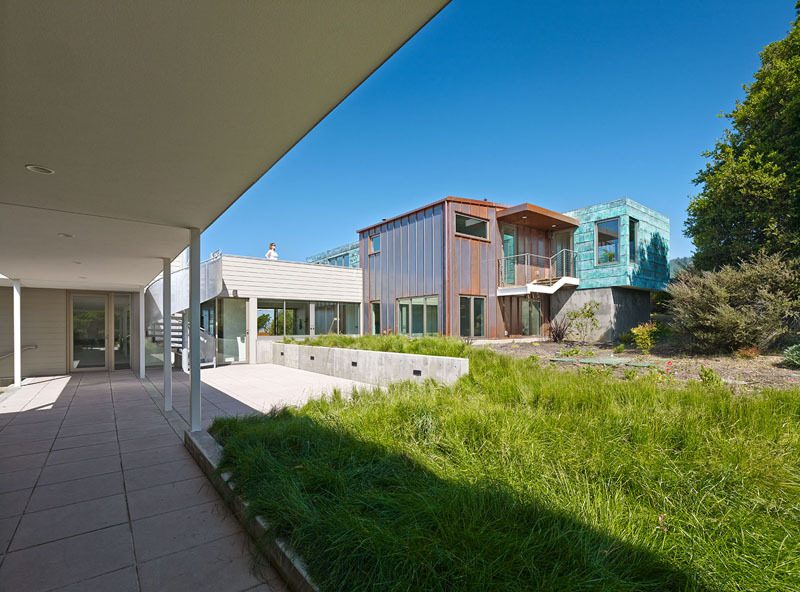 The exterior of the house is clad in zinc and copper panels which make it look unique and gorgeous at the same time. 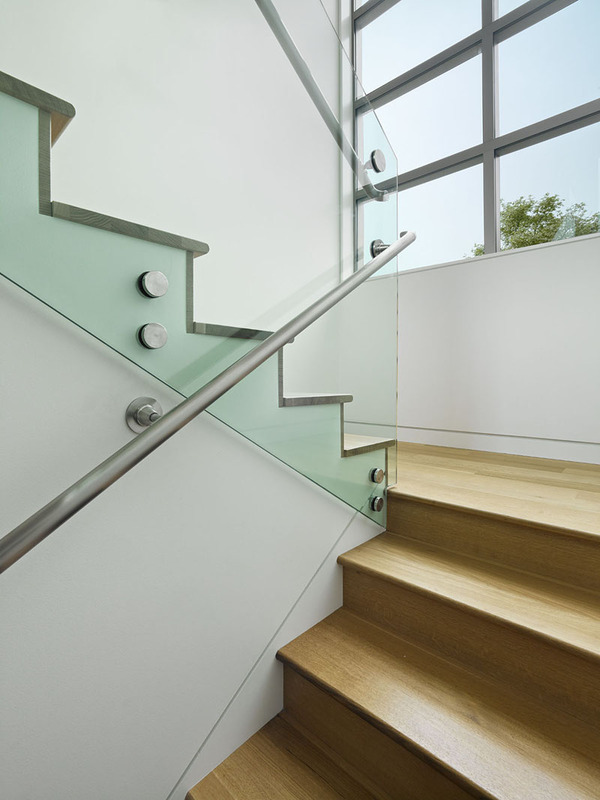 It also made use of glass for some areas like the railings and the sliding doors. The interior is also nice as it is not crowded with too much decors and furniture. Unique feature: A two-storey home that is clad in zinc and copper panels located in a coastal hill. It looks beautiful, right? The exterior of the house has various textures in the exterior because of the variation of materials used in it. You can also see that house has natural landscaping around it. During the night, the house looks even more beautiful because of the lights in it. The house is well-lighted in the interior which is being reflected in the outdoor area as well. 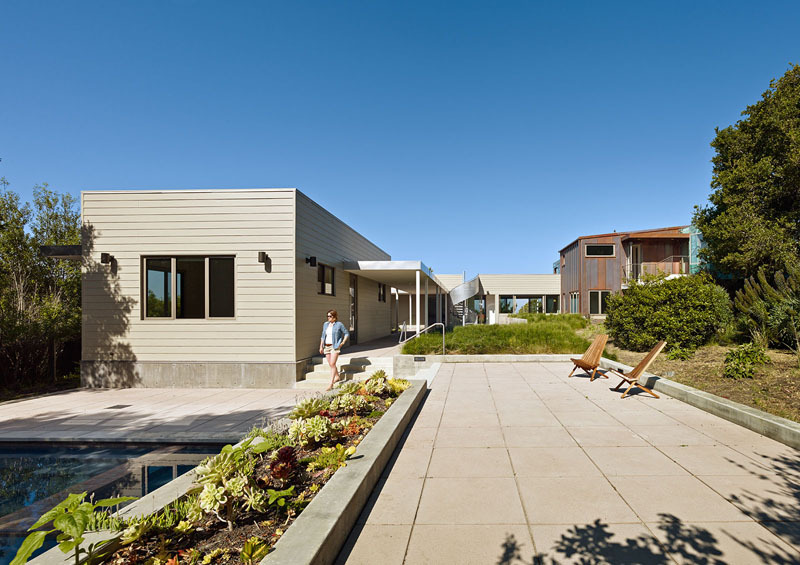 The house is positioned to take advantage of the views towards the Pacific Ocean and surrounding state park. Isn’t this a nice home with glass windows and doors around it? 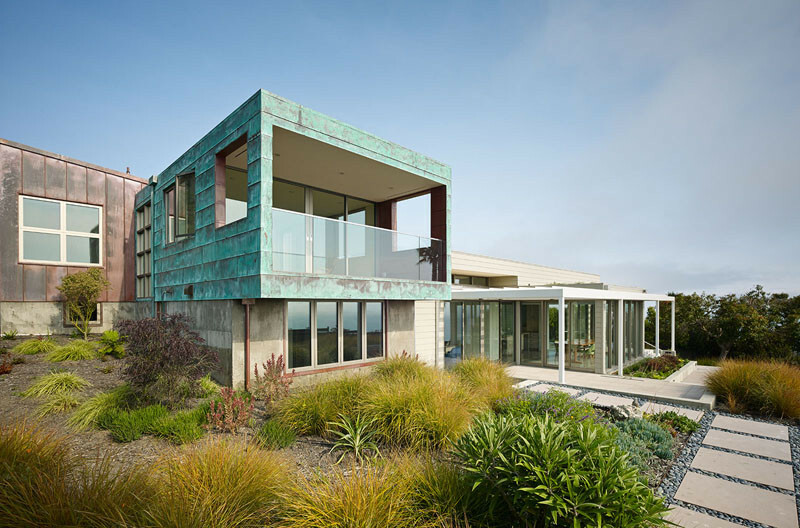 As you can see here, the home is clad in zinc and copper panels. You can also see that some of the copper used here was already oxidized. n the outdoor area, there is a concrete walkway with some plants around it. Aside from the plants that you have seen in the facade and in other outdoor spaces, there is also a part with green grasses too. Inside the house, you will see that there are floor-to-ceiling windows, and a large dining area that looks out to the garden. I love the combination of green chairs and a wooden dining table in here. Behind the dining table is the kitchen that features a centrally located island. 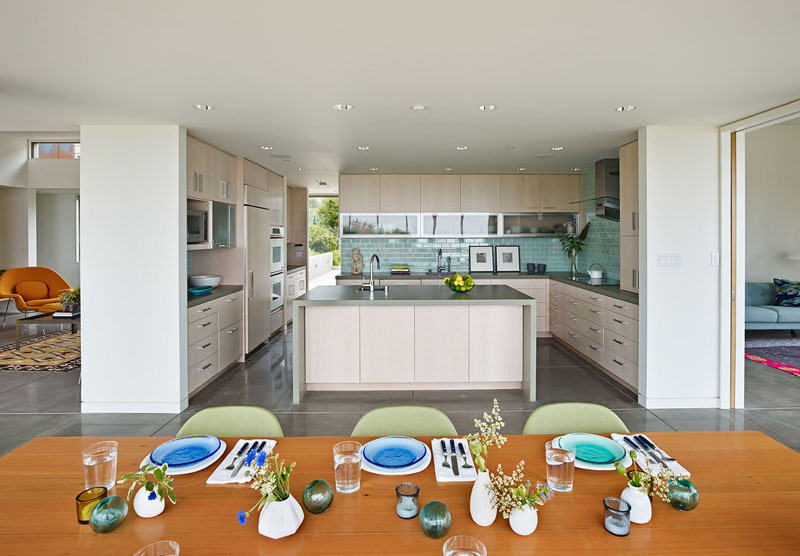 The kitchen has a C-layout with green ceramic tiles backsplash. The living room of the house has a fireplace that opens directly to the outside. What I noticed here is the intricate pattern on the area rug where a square glass coffee table sits. I also like it that the chairs come in different colors. This is the hallway of the house that has large windows. 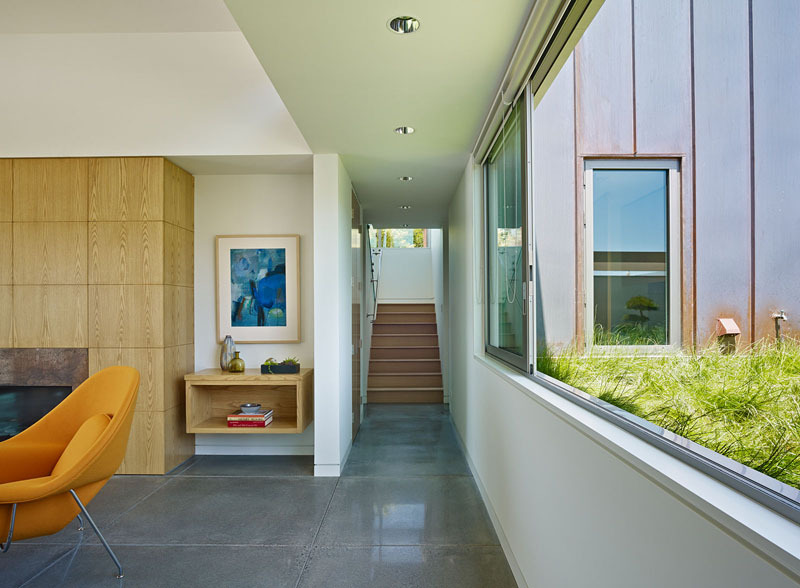 Actually, throughout the home, you can see large windows like this that can provide plenty of sunlight into it. 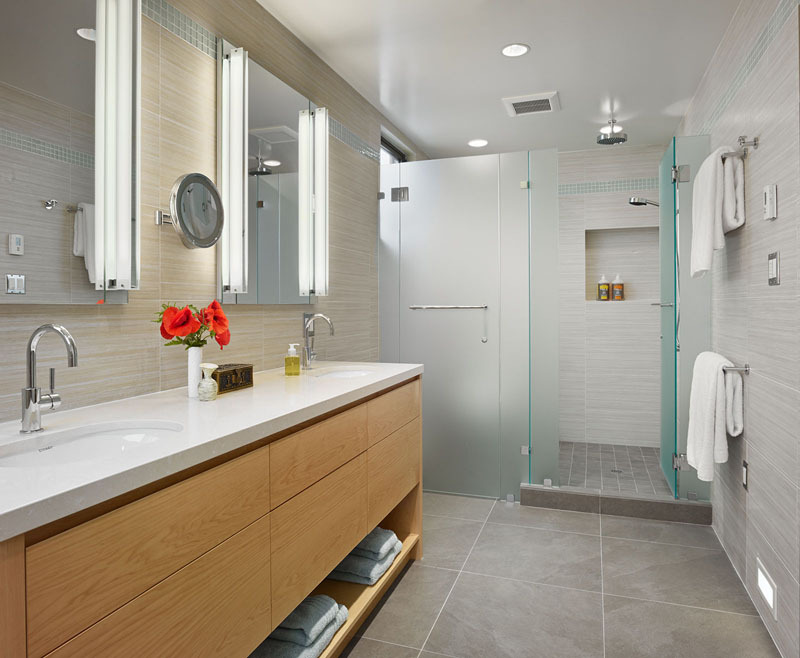 This is the bathroom of the house with a vanity featuring wooden drawers under it. You can also see that the house has a glass shower enclosure. Seen here is the staircase with wooden treads and railings that are made of stainless steel and wood. 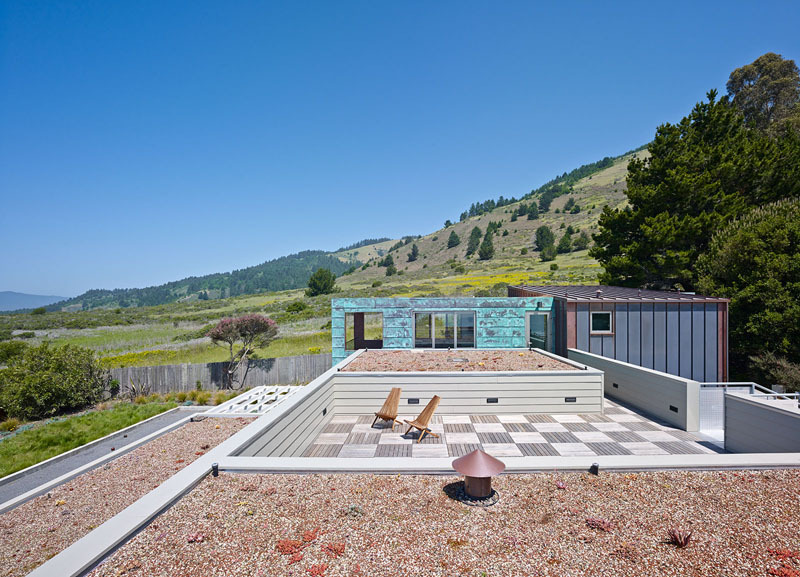 One nice feature of the house is this roof where there’s a large deck to enjoy the sunshine and views. Just look at the views around it. It is really nice indeed! Nice home, right? It actually doesn’t have too much decors in it and it is similar to the usual homes we see but there is something special about the house. 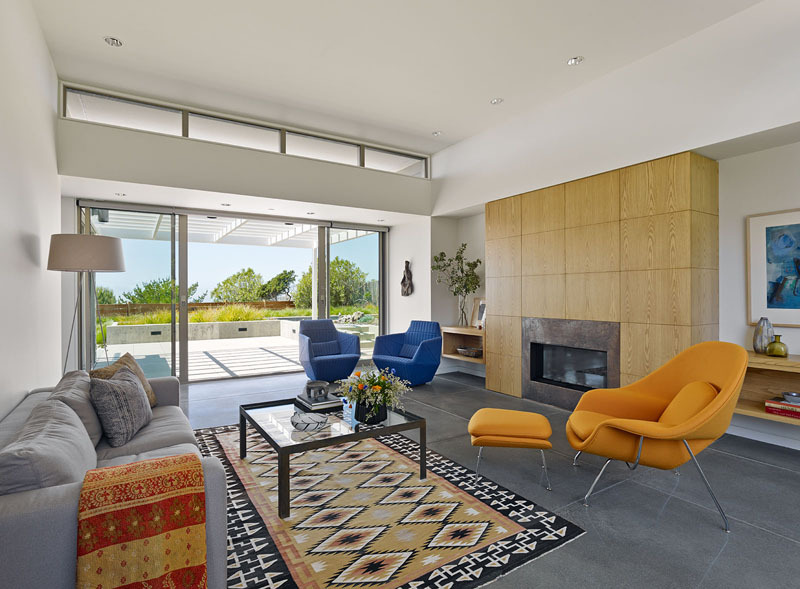 This home that is designed by WNUK SPURLOCK Architecture and the location is indeed nice which brought more value to the place and for sure, it also made the owners love their place even more. The interior is spacious and it helps create a cozy home that the space is not crowded. The outdoor area is also very nice as well. How about you , what do you like about this home?